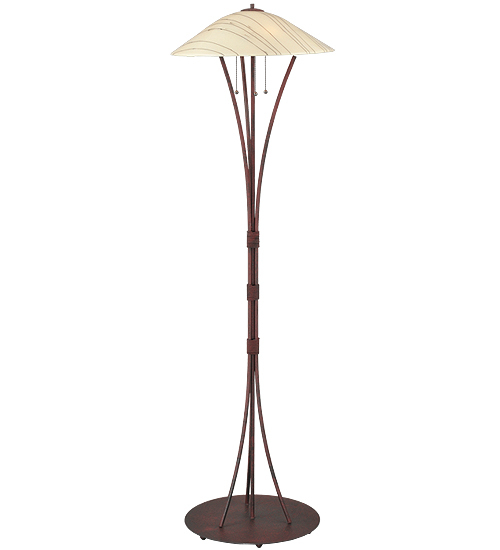 Description: Bare trees against a winter sky inspired the Branches Metro Fusion floor lamp.Frost White glass drizzled with Midnight Black is fired into a dome-shaped shade.Handmade by Meyda Craftsmen, the shade and its unique Rusty Nail and Wrought Iron hardware are a pleasant retreat from the ordinary.Custom crafted by Meyda artisans in the Yorkville, NY manufacturing facilities at the foothills of the Adirondack Mountains.Energy efficient lamping options. Custom colors, styles and sizes available. UL Listed for damp locations.